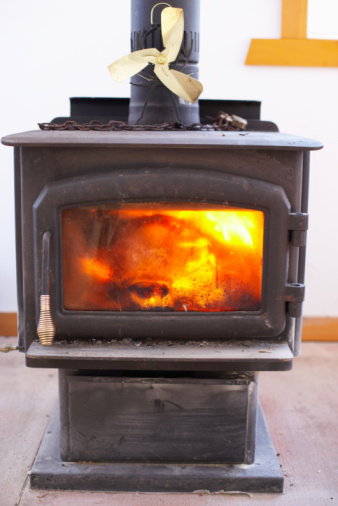 A wood-burning fireplace insert must be removed when your fireplace and chimney enclosure need cleaning. It's easier than removing a gas insert because it's not necessary to remove or disconnect gas lines. Most wood-burning fireplace inserts are heavy and are secured to the enclosure with screws or bolts. If you don't want to hire a professional to remove the fireplace insert, you can attempt to remove it yourself. 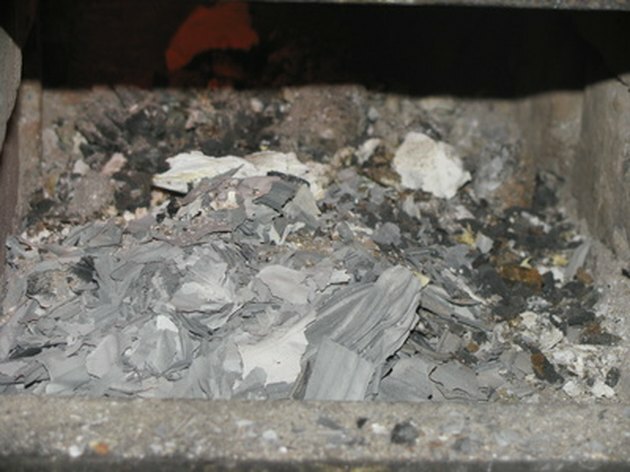 Ash must be cleaned from wood-burning fireplace inserts before removal. Open the doors of the fireplace insert, if they have been installed. If an ember shield is being used, fold it up and set it aside. Remove the metal grate used for the wood. Remove soot from the bottom of the insert and place it in a bucket, using a metal scoop. Dump the contents of the bucket when it gets full. Clean up any remaining debris from the bottom of the fireplace insert with a broom. Sweep the waste into a dustpan and place it in the bucket. Search for the screws or bolts used to secure the fireplace insert to the chimney. Remove the screws with a power drill and the bolts with a socket wrench. Remove any decorative trim or caulk that has been placed around the edge of the fireplace. Cut any caulking used to seal the fireplace insert, using a utility knife. Pull on the bottom of the fireplace insert to slide it out of the enclosure. Can You Use Hardibacker on a Fireplace?